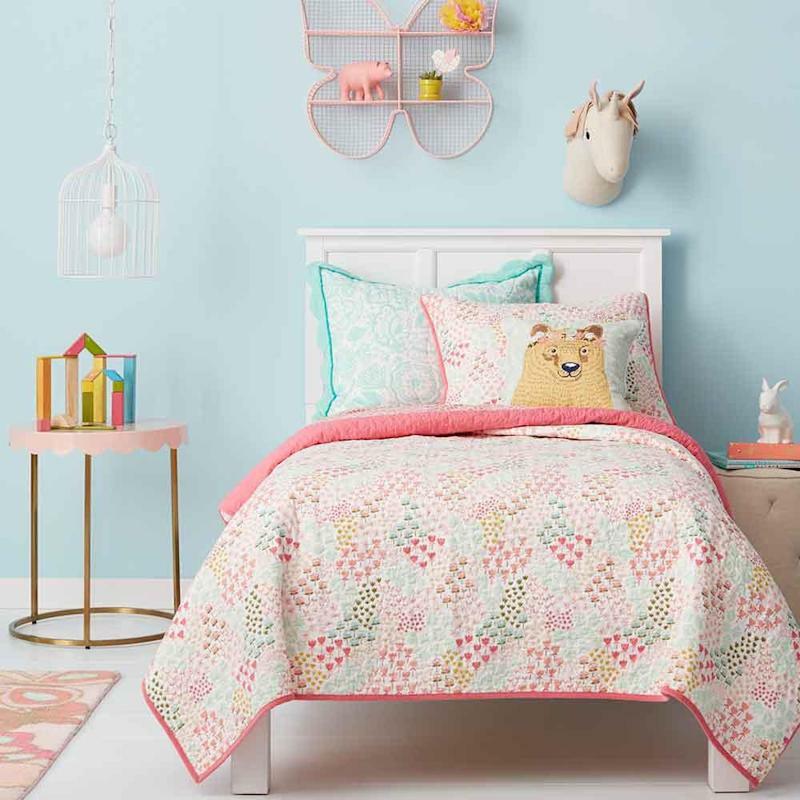 “In Praise of Target’s New Gender-Neutral Home Line for Kids” originally appeared on Yahoo Parenting and was reprinted with permission. Pillowfort — the line launching Feb. 21 featuring 1,200 pieces of bedding, wall decor, accent pillows, rugs, lamps, and furniture — will still offer pink and blue, only in fewer quantities compared with new items, many of which are white, black, and yellow, featuring prints that skew gender-neutral such as trees, arrows, astronauts, and bicycles. 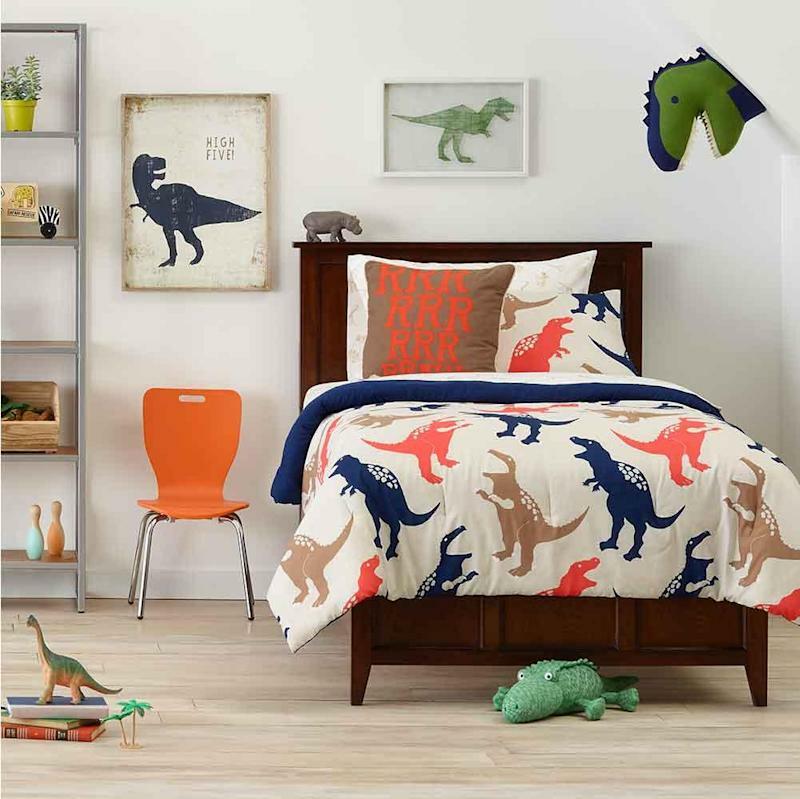 The company (which took down the “boys” and “girls” signs in its toy and kids’ bedding aisles last fall) checked in with its customers when considering how to replace the in-house brand Circo and reportedly initially didn’t have gender-neutral themes in mind. 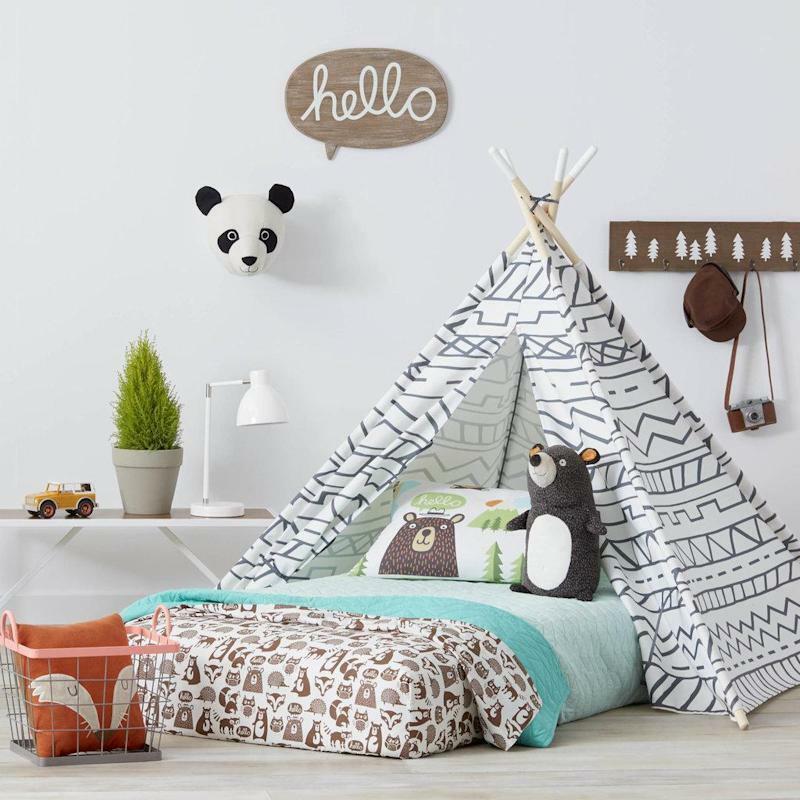 “Target’s design team spent time with our guests — moms, dads, and, most importantly, kids — to find out what makes them tick,” according to a statement from the retailer on Sunday about the line. 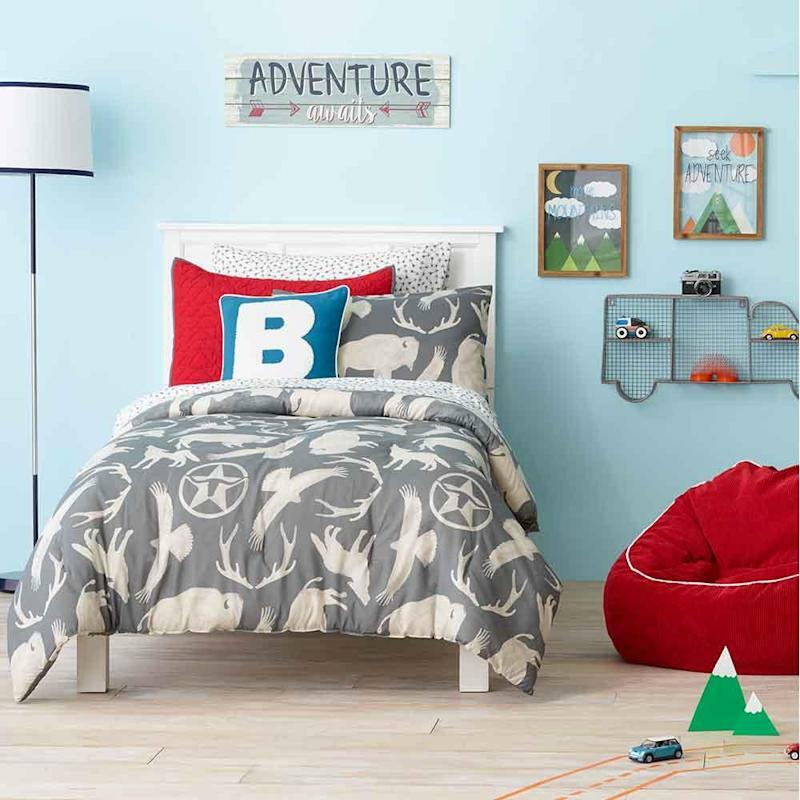 And while polling parents and kids, the demand for gender-neutral products kept coming up, reports the Star-Tribune. Pink wasn’t even considered a feminine color before the 1940s, according to Jo B. Paoletti, a historian at the University of Maryland and author of Pink and Blue: Telling the Girls From the Boys in America. 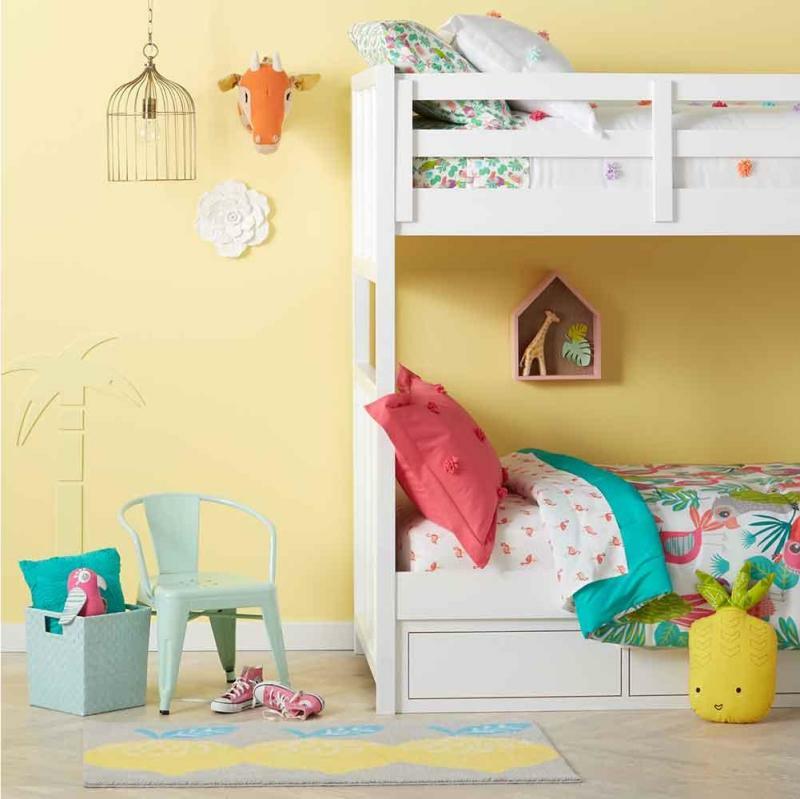 Indeed the 12 “whimsical themes,” including “Tropical Treehouse,” “Stellar Station,” and “Ocean Oasis,” that Target describes in Pillowfort’s new line appear to appeal to boys and girls alike — with an eye toward flexibility to change things up in the future as well.